It’s Autism Awareness Month. Did you know that a big part of your child’s behavior, positive or challenging, is a reaction to something that is happening in their immediate environment?Sometimes we inadvertently reinforce challenging behaviors, but knowing the ABCs can help prevent inadvertent reinforcement. By recognizing the ABCs of behavior, you may be able to help prevent and better de-escalate challenging behaviors with your child. Antecedent - This is what happens just before the behavior to provoke it. Behavior - This is what you can see your child doing. Consequence - This is how you react the behavior. The consequence will determine whether or not that behavior will reoccur. Sensory - These behaviors are occurring because they feel good. Stereotypy, or self-stimulatory behavior, is a common sensory behavior that children with autism often engage in. Escape - These are behaviors occur when your child wants to get out of doing something they don’t want to do. This is often the root cause of difficulty with transitions, with which many children with autism have difficulty. Attention - These behaviors occur to gain attention from somebody. Attention-based behaviors can be easily inadvertently reinforced, so it is important to remember that negative attention is still attention! Tangible - These are behaviors that your child engages in when they are told they can’t have something they want or if something they like is taken from them. By identifying common things that provoke behavior, we can arrange the environment to prevent behaviors in the first place.By knowing why your child is engaging in a challenging behavior, you can begin to understand how to respond to your child. Did you know that April is occupational therapy awareness month? We are excited to celebrate and share more insight about our profession. Occupational therapists give people the ability to live their life to the fullest by helping them gain independence in everyday activities that are important to them. Here at Lumiere Children’s Therapy, we focus on helping children learn to PLAY, one of their most important occupations. Zones of Regulation. A curriculum designed to help children regulate their bodies and emotions, improve impulse control, increase body awareness and increase attention. Sequential Oral Sensory (S.O.S.) approach to feeding assessment and treatment. S.O.S. is a play-based, non-judgemental approach to feeding that uses natural reinforcers to encourage food exploration. It is designed for kids with feeding sensitivities and weight gain/growth difficulties and takes into account a wide variety of skills, including posture, motor, sensory, learning, and behavior. 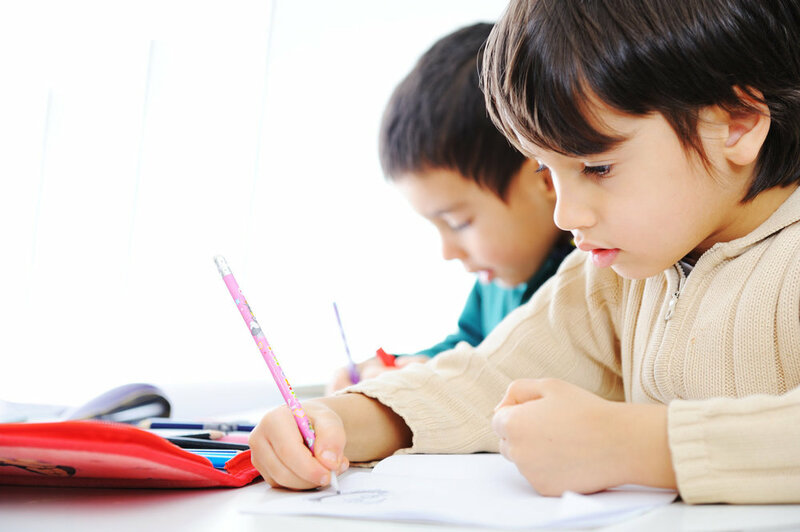 Handwriting without Tears.A developmentally-based writing curriculum that addresses all styles of learning, including visual, auditory, tactile and kinesthetic. Infant Positioning and Handling. Acourse focusing on evidence-based strategies for safe and effective tummy time positions to positively impact future development as well as strategies and treatment routines to maintain and improve function in infants. Early intervention. Gaining more insight into early intervention, accounting for all aspects of intervention with evaluation outcomes, as well as courses focusing on partnering with families to help make a smooth transition out of early intervention. Through these courses and learning opportunities we are able to provide the best and most current treatment approaches for our children. During the month of April, we are reflecting on how much we have learned by staying up-to-date on evidenced-based practices as well as areas in which we want to continue to grow! We are eager to learn the new and best treatment approaches to help our children be more successful and PLAY! One of our OT specialists would love to help your family! If you’re interested in inquiring about any of these methods and would like to schedule an evaluation for your child, please contact us HERE. When we started out 10 years ago, our VISION was to create, capture and celebrate 100,000 Magic MomentsSM by the year 2020. What are Magic MomentsSM? They are every small step, every little success and tiny milestone met that makes a big impact on the lives of children and families in meeting their family goals. 2019 marks the start of our 11th year in business. Since opening our doors in 2008, we've been celebrating and tracking Magic Moments - and now we'll be sharing them with you here every month. Please see below on how you can share yours with us! Have a Magic MomentSM you want to share? Upload a picture or video to your page and tag us @LumiereChild for your chance to be featured on our social media! We are always looking to identify success stories and positive experiences around therapy! Summer Camps Are Springing Up at Lumiere! It may not feel like it yet, but Spring is just around the corner. March 20th is the official first day of Spring! Here at Lumiere, we’ve already started prepping for warmer weather with the introduction of our summer camps! We’re excited to offer half-day camps for one and two-week sessions starting in June. Ages 3-5 can take advantage of our LITTLE EXPLORERS camp, and bigger kids ages 6-8 can join our BIG ADVENTURERS camp. Click HERE to find out more and reserve your spot! March is National Social Work Month. This holiday serves as a great opportunity to recognize the Chicago woman who developed social work as a profession. In the late 1800’s just down the street from Lumiere at Halsted & Harrison Streets, Jane Addams started a movement that grew into the Hull House, the first settlement house created to support vulnerable populations in receiving educational, legal and health services. The profession of social work has grown immensely and has become more varied in the populations that it serves today. At Lumiere, our social workers seek to support children and families in strengthening their interpersonal skills in order to engage and function within society. At the heart of happiness is strong relationships, so Lumiere social workers seek to support children and families at developing healthy relationships by responding to their emotions in healthy ways. When families seek services from our social workers, they are typically seeking solutions for their children as they struggle to manage their emotions. Express your emotion "I feel..."
MODEL. Children learn from their environment. Parents who model coping skills and how to appropriately respond to their own emotions, will go a long way in aiding children to develop healthy coping skills. SELF-ATTUNEMENT. When your child is upset, focus on keeping yourself calm. An escalated parent typically escalates a child more. It is like being on an airplane: put your oxygen mask on first, so you can then take care of your child. CREATE. Children who struggle to calm themselves down, usually enjoy creating. Try incorporating ways for your child to create, such as craft time, baking time, or lego time. This proactive approach will aid your child in learning how to self-regulate. ATTENTION. Providing consistent, one-on-one attention aids children in regulating their emotions. Try taking 15-20 minutes a day to sit on the floor and play with your child. EMOTIONAL CHECK-INS. Having consistent routines where your child feels safe and “listened to” can also reduce your child’s need to seek support through behavior. Creating a daily or weekly routine that includes an emotional check-in is one way to achieve this. For example, at bedtime, ask your child to express their “highs” and “lows” of the day. PRAISE. Children are developing their problem-solving skills. When you observe your child solve a problem, make sure you praise them. Over time, they will notice they can use their problem-solving skills when responding to their emotions. REGULATE. Not every big emotion can be prevented, so having co-regulation tools around the house can aid children in calming down once they are already upset. Tools could include silly putty, a soft place to lay down, a favorite stuffed animal or stress balls. We help school-aged children with anxiety, bullying and self-esteem issues. Come check out our booth, speak to our therapists and hear Jakki, one of our ABA Board Certified Behavior Analysts speak on "Managing Difficult Behaviors" as part of the guest speaker presentations! >> We will be raffling off a FREE summer camp session at the event! See you there! March 2nd is National Read Across America Day, a day that celebrates the wonderful world of reading! Lumiere speech therapists use books daily during therapy sessions to build vocabulary, increase attention to clinician-directed tasks, target a variety of 'WH' questions about pictures and stories, and to ultimately build positive interactions through a shared enjoyable activity. Give them a choice. Pick two books and give your child the option of which one to read to make them involved in the process - they may tell you verbally or via pointing. Utilize your local library. Libraries have endless options for children's books and may even have additional resources to help your child enjoy reading (i.e. kids group events held at the branch). Make it your own! While reading, incorporate silly sounds, funny voices, and movements to motivate your child. Remember, the more they enjoy reading, the more they will learn! Encourage quiet time. Let your child explore books on their own. Looking at pictures, turning pages, and escaping into a story can help your child get familiar with and even like books. While we encourage you to ask questions at times during reading, make sure they don't feel pressure to constantly perform. We want it to be FUN and stress-free for the children. Model reading. Believe it or not, children often imitate adult actions. If they see you engaging in reading time at home, they will view reading as a daily activity and hopefully create a lifelong healthy habit of reading books. Happy Reading! Valentine’s Day, of course, is what first comes to mind when we think of February holidays. But did you also know that this is the month for Heart Health? In fact, February 1st is National Wear Red Day to promote awareness for heart health but what about the emotional side of taking care of your child’s heart? We can do our hearts good by spreading kindness. February 17th is Random Acts of Kindness Day! Make sure to be following us on Facebook and Instagram to see how our kiddos will work on spreading kindness to one another! Want to show heart happiness to your child? Keep them active. Physical activity is at the base of every healthy heart. The American Heart Association recommends at least 60 minutes of moderate to vigorous aerobic activity every day. In addition to getting blood pumping and working out the heart, it’s also good for growing bones and muscles. Movement also boosts your energy and helps you sleep better at night! This is important no matter what our age, but it’s a great lifestyle trait to start incorporating into kids’ lives from a younger age. Keeping your heart healthy should be something that kids begin to understand at a young age. The best way to do this is to make sure kids get the daily recommended amount of physical activity. Make movement fun. Of course, nice weather naturally begets more movement – parks, pools, beaches, playgrounds, biking, running and walking are just some examples. However, winter months see a lag in our opportunities to incorporate physical movement into our daily routine. Therefore, we need to make a concerted effort to find creative ways to move. If you’re stuck inside, you can throw a dance party in the living room, create an obstacle course, or have the kids join you in some yoga (Twister, anyone?). Eat the rainbow. Establishing healthy eating habits when your child is young sets, the blueprint for a healthier future. Food is fuel; much like a car needs good fuel to function well, teaching your kids to eat the right "fuel" to help their bodies "go" is a relatable way to get them thinking differently about food. How do you do this? Get them excited about eating more fruits and vegetables by telling them about how our bodies need colorful foods -and urging your child to try them. "Peppers come in yellow, red and green. Carrots are orange. Broccoli is dark green but celery is light green. What else is yellow that we can try?" You can make it a game where the person with more colorful plate, wins! Manage stressful situations. We're so busy trying to manage our own stress as adults, that we may not think that kids are also stressed – just in different ways. This can come in the form of anxiety around friendships, bullying, pressure to win, learn, accomplish or be good at something, doing well in school and even, pleasing you. Try to step away from the stressors of your everyday life, clear your head and take time to take or observe your child and what may be causing him/her to act differently, talk less or become disconnected. Try to connect by asking specific but non-pressuring questions in a calm environment. Pay more attention in your daily observations of your child –routines, sleep patterns, quality of sleep, meals, actions and reactions. A little more targeted awareness can go a long way in helping them manage and reduce their stressors – now and in the future. Show love and kindness. This is the emotional aspect of being kind to your heart – which is just as important as the physical and nutritional aspect. Teaching and showing kids love, empathy, affection, understanding and kindness to friends and strangers are traits that the world can always use – and that starts with exemplifying it to impressionable kids. We, as parents and caregivers, are the role models in their lives, after all. Helping them through friendship dilemmas, teaching them to stand up and support those who can’t do it for themselves, or doing something nice for someone without expecting something in return are great ways to teach by example. We offer a team-focused multidisciplinary approach to therapy. Learn more about what makes us unique. “In a city like Chicago, it’s never too early to start thinking about summer. We’ve been thinking a lot about it, too. Bringing awareness to those who require or are currently using a feeding tube, also brings awareness to the reasons why it’s needed in the first place. For children who are at risk for complications when eating by mouth, feeding tubes can provide necessary nutrition in a safe manner. There are six types of feeding tubes available to children with swallowing problems. To get more insight into the advantages and disadvantages of each type of feeding tube, click on our link below. When we started out 10 years ago, our VISION was to create, capture and celebrate 100,000 Magic Moments(SM) by the year 2020. What are Magic Moments(SM)? They are every small step, every little success and tiny milestone met that makes a big impact on the lives of children and families in meeting their family goals. Come check out our booth, speak to our therapists and hear one of our ABA Board Certified Behavior Analysts speak on "Managing Difficult Behaviors" as part of the guest speaker presentations! We will be raffling off a FREE summer camp session at the event! See you there! Scavenger Hunt: Have your child find items around the house and talk about them along the way; you can even make it holiday themed! Having your child describe each item they find works on using sentences and promotes vocabulary development by using new and fun adjectives! Animal “Walks”: Have your child walk like many different animals (I,e, bear, dog, snake, kangaroo, frog, crab walks). These positions help strengthen their legs, arms, and core, while your child has fun pretending to be various animals. Simon Says: Simon Says is a great way to work on language comprehension and following direction; it incorporates as much movement as you want! It also helps develop hand-eye coordination and body awareness. Take turns letting the child give the directions so they can work on forming phrases or sentences. You can give the game a holiday twist by referring to it as “Santa Says” or “Turkey Says”! Ball/Balloon Play: Keep the ball small and stick to the holiday theme! Encourage your child to throw underhand into an opened gift-wrapped box or have him/her pretend throwing a “tree ornament” into a basket. To make it more difficult for older children, have them stand on one foot or on a pillow as they throw. With balloons, play volleyball by encouraging one and two-hand taps at various distances to work on agility and hand-eye coordination. Laundry Train: Have your child push a laundry basket through the house to pick up designated items (such as all the puzzle pieces in a puzzle, or all the rings of a stacker). You can weigh the basket down with some heavy books to help your child get some energy out as he or she pushes it along the ground. Child Yoga: Child yoga positions can be fun yet calming to your child! Getting into each position by imitating a parent/therapist and/or a picture requires body awareness and visual understanding. Changing from one position to another can help your child learn how to sequence activities. While your child maintains the position, the sensory input to their body can be calming as well as strengthening. For child yoga positions, look online for Child Yoga downloads. Red Light, Green Light: Stand with your child at one end of the room or hallway. Explain to your child what each sign means: Green means GO! Red means STOP! Yellow means SLOW! Progress from walking to other motor skills such as crawling on hands and knees, belly crawling, jumping on two feet, skipping, walking backwards, sideways, etc. You can print out pictures of a traffic light or make your own with construction paper or to get your child in the holiday spirit, pretend you are walking/running/driving to Thanksgiving dinner, to see Santa, being in the snow, or to pick up a Christmas tree etc. Snow Day: If there’s snow outside, bundle up and go jump in! Grab a sled or toboggan and pull them for a ride around the block. Make snow angels, snow balls and a snowman! They’ll be having so much fun, they won’t realize they’re incorporating strength-building movement and using sensory tactile exploration and fine motor skills! Sometimes, suggesting something as simple as a fingerplay activity can help curb boredom and make scheduled routines fun! Fingerplay, used by speech therapists to build skills and maintain interest, is a combination of hand and/or finger movements along with verbal accompaniment in the form of words or songs. It may seem rather unimpressive, but according to the American Speech-Language-Hearing Association, can be very beneficial. An On-The-Go Option. Fingerplays can be incorporated by parents or therapists anywhere at any time – during therapy, as part of a bedtime or bath time routine, in the car or in a store. They don’t require technology, a special setting or particular equipment. This technique is always at your “fingertips”! Supports Motor Development. Fingerplays help build hand-eye coordination, visual-spatial tracking, body awareness, self-regulation and hones in on executive-functioning skills. Incorporates Story Structures. Popular fingerplay songs like “The Itsy-Bitsy Spider” and “Where is Thumbkin?” contain all the elements of a story – who, what where, when and how. This supports narrative understanding and creative expression for kids in developing their oral narrative skills. Promotes key developmental skills. Kids are encouraged to pay attention in how they will use their bodies to act out fingerplays. This promotes self-regulation and physical movement like clapping and other arm movements as well as literary and speech-language skills like singing, rhyming and repeating. Encourage personal bonding. Creating a child-adult connection is important in therapy at any age – especially at younger ages. Kids observe adult facial reactions, voice inflections and hand movements to learn and mimic. Fingerplays like “Pat-a-Cake” encourage touching, tickling and laughing which contributes to the overall building of trust. 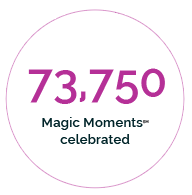 We’re thrilled to announce that we celebrated 12,500 magic moments in 2018! This brings our 10-year total to 68,750! As we get closer to our goal, we want to share it with you – and you can share yours as well! Bake Cookies - have your child stir, roll out the dough, use a cookie cutter and even have them decorate with icing! This can also be a food tactile sensory and food exploration activity. Wrap Gifts - have your child use safety scissors to help cut the wrapping paper, tape it together and add a peel n’ stick bow. Create Cards - have your child make holiday cards for friends and family to work on coloring and writing their name, if they are able. You can put stickers on the cards to add an extra fine motor activity. Make Hot Cocoa - work on having your child follow directions, measure and pour to make hot cocoa. You can get them to add small marshmallows to work on grasping and counting. Craft Snowflake Decorations - Have your child fold up a piece of paper and carefully cut out pieces; when you open it up it will be a snowflake! Make “Winter” Play Dough - Measure 1/2 cup of hair conditioner and 1 cup of cornstarch (you may need to add more to get the right consistency); mix it together and knead the play dough until it becomes smooth and soft. Optional: add blue sparkles and spruce essential oil. Read Holiday-Themed Books - Reading holiday-themed books helps kids prepare for what's to come in terms of holidays! Seeing pictures that involve potential holiday decorations, food, traditions, etc., can help them get a sense for what the holidays might look like. If your child has a favorite character or book series, try searching holiday titles involving these characters (e.g. Pete the Cat Saves Christmas, Merry Christmas Curious George, etc.). Ask your child questions (who, what, when, where, and why) while you read your favorite holiday stories and help them to form phrases and sentences to answer the questions appropriately. Going to the library or bookstore and letting them be involved in the process of picking books to read is also a fun activity for kids! Introduce Holiday Songs - Get your little ones excited about the holidays by singing holiday songs! Some songs we will be singing at Lumiere are: “Jingle Bells”, “Rudolph the Red Nosed Reindeer”, and “We Wish You A Merry Christmas”. You can always search songs online for help. If your holiday plans with family and friends include any specific songs (e.g. religious ceremonies), practice those lyrics with your children so they are familiar. We offer a team-focused approach to therapy. Learn more about what makes us unique. Please join us in giving back to kids in need this season by bringing new or gently used, unwrapped toys, clothing and shoes to our location. We will be distributing these items to various children’s therapies in Chicago. Thank you helping us spread holiday cheer! Kids thrive on routine and structure. If your child’s daily routine will be changing for the holidays, make sure you prepare them by telling them in advance. Making a schedule can help with this – we recommend getting a monthly calendar. You can put important events on the calendar and have them cross out each day, so they can expect when events are approaching. Holiday parties can be loud and overstimulating to children. Make sure you give them support when needed. Seek out a “safe place” your child can go to, to calm down (maybe a quiet room, bathroom or the car); if you see your child is beginning to get overstimulated you can remove them from the environment and take them to the “safe place” in order to prevent and treat overstimulation. Create social stories for off-routine days: If your child is feeling nervous about the routine change of holiday plans, it may help to make a social story (or find one online) so they know what to expect. Make a short book outlining your families holiday steps and include related pictures. Be sure to read your “book” multiple times leading up to the holiday so your child is prepared for the day and has a good understanding of the sequence of events that will take place. You can even have them help by drawing the pictures for more involvement! (i.e. “Christmas Morning at Our House”.1) wake up 2) get dressed 3) grandma and grandpa come over 4) open presents 5) have breakfast together as a family.) If your child has feeding difficulties, be sure to include in your story specific food items that will be served so your child feels prepared to see, and potential try, foods not typically consumed. Keep things positive! When talking about events, bring up fun and exciting things so your child has something to look forward to and is more motivated to participate. Kitsa Antonopoulos (right) is presented with the Alumni Merit Award from Dr. Mardell Wilson, Ed.D., RD, LDN, Dean of Doisy College of Health Sciences. "It was an honor for me to recently be chosen by my alma mater, Saint Louis University, to receive the 2018 Doisy College of Health Sciences Alumni Merit Award. This award is the culmination of how my education set the foundation for the philosophy that Lumiere Children's Therapy is built upon; taking time to understand the needs of families and helping to guide them so they can get access to the services that they need. This is at the heart of the core values I created for Lumiere Children's Therapy." From our family to yours, wishing you a blessed holiday season and a happy new year! October is National Learning & Development Month? It’s also National Physical Therapy Month and National Sensory Processing Awareness Month! That’s not a coincidence. Physical Therapy and Occupational Therapy are an integral part of our learning and development services at Lumiere Children’s Therapy. All of our physical therapists are PhD certified and all of our occupational therapists hold Masters degrees in their field. Below, they have compiled helpful information about Physical Therapy and Occupational Therapy evaluations as well as milestone guidelines by age, to help you assess if your child is on track. Of course, the best way to have your child assessed is to bring him or her to Lumiere, where we can perform a thorough screening and evaluation in a comfortable and nurturing setting. 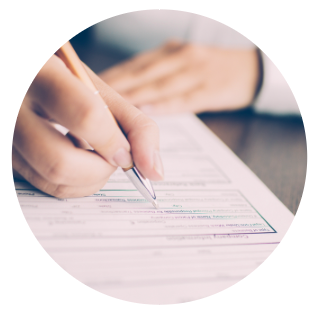 To request a screening evaluation in Physical Therapy or Occupational Therapy, please contact us today by click here. What do pediatric physical therapists assess? Our physical therapists look at a child’s gross motor ability, and their ability to navigate environments. We also screen for strength throughout the body such as coordination/balance, quality of movements, appropriate physical development and ability to play and keep up with peers by utilizing age-appropriate motor skills. From infancy, we can assist in developing skills such as rolling, sitting up, and crawling. As a child grows, our PTs will look at a child’s ability to walk, run, jump, and manipulate objects including throwing or kicking a ball. PTs also look at a child’s motor planning skills, which includes the ability to sequence movement or perform a novel task. Intervention techniques applied by our PTs are play-based, functional, and fun in order to engage your child and motivate them. Our techniques also enable kids to reach their fullest potential, realize their full motor abilities and ultimately, improve their quality of life. How do I know if my child needs Physical Therapy? *These are a general range of typical ages; your child may be anywhere along the gross motor continuum. All children develop differently! A physical therapist can evaluate your child and let you know if your child will benefit from physical therapy services. What do pediatric Occupational Therapists assess? Our Occupational Therapists evaluate sensory processing abilities in: cognitive skills (learning, thinking, problem-solving), fine motor skills (pencil grasp for writing, feeding, day-to-day movement), visual motor skills, visual perception, play skills, strength, coordination & body awareness, self-help skills, and attention & sensory processing. Occupational Therapy can help children become more independent in their daily activities such as dressing, feeding, grooming, writing and playing. OT can also help children to become more successful at home, in school, and within their communities. Our evaluations are family-centered, so we will always work with the family on what they would like us to assess based on their goals and concerns. *These are a general range of typical ages; your child may be anywhere along the gross motor continuum. All children develop differently! An occupational therapist can evaluate your child and let you know if your child will benefit from occupational therapy services. one of our Therapeutic Groups! The start of a new school year can be an exciting time - new friends, new teachers and fun, new school supplies! However, it can also be a source of anxiety for children: leaving the comfort of home, separating from mom or dad and overall, uncertainty. Our therapists have pulled together some tips to help parents and children during this exciting but oftentimes scary transition. Do a run-through. For kids going to a new school (or for any child anxious about going to school), have parents drive by the school to show the child where it is and what it looks like. Do a walk-through of the school and meet the teacher, if you can. Talk about what drop-off and pick-up will look like. If they take a bus, what bus number is it, etc. If there are any familiar faces at the school, talk about them (i.e. a neighborhood friend, an older sibling). Check out play spaces. If physical activities can be difficult or intimidating, explore the new playground at the school so your child feels more comfortable at recess. Role Play. Use pretend play at home - role play as teachers and students using dolls, stuffed animals, or figurines. Act out what it would be like in the classroom, lunchroom, P.E., art, etc. Read about it. There are many books about the topic of starting school and going back to school; read them together, aloud, and encourage questions about anything your child may be unsure of. Share your experiences. Have parents talk about how they felt going to school. Validate being afraid and nervous. Talk about things you were excited about, positive experiences you remember, etc. Keep Passions in Play. If your child became a weaving whiz at summer camp or a diving champ at the local pool, keep it going. 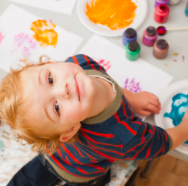 Integrate new summer hobbies into the school year by finding after-school clubs or groups that will let children continue to do the cool new things they tried this summer! Have fun with practicing independent skills. Make it a game, have a race! Some independent skills to practice include washing their hands, using the toilet, putting on shoes and socks, hanging their coat on a hook, putting on a backpack, and using utensils at the table — all are important skills that they will be working on in early school age years! Acknowledge feelings. Although it’s tempting to quickly reassure your child school will be fine and move on, it’s important to let your child know that his or her worries have been heard. Allow your child to express their feelings, listen closely and acknowledge your child's feelings about the end of summer time. Create a social story. If a child is really anxious, you can make a social story about going to the new school. This can be made on a PowerPoint talking about what each day will look like (for example: wake up, get ready, eat breakfast, go to school, play with friends, see mom at end of day, etc.). If the parent is able to get pictures of the school to add to the story, that would be best. Then they can read that story leading up to their first day of school. Help them help themselves. Have your child work on self-help skills that they will need to be able to do in school by themselves such as putting shoes/coat on before going to recess, opening containers and eating with utensils at lunch, drinking from water fountain, and putting backpack on at the end of the day. Keep an active schedule. Going back to a structured schedule can be hard for kids, especially if that means more seated activities then what they are used to. Make sure the kids still have opportunities to move their bodies before and after school if they need it. If your child is an early riser, you can try going for a walk, yoga poses or animal walks before school. If it’s after school, you can try going to the park or making obstacle courses. Don’t forget about the little things. Make sure you leave plenty of extra time to get ready in the morning so it’s less stressful for everyone. Give your child choices whenever possible to help them feel more in control. Have them decide what they want for breakfast and lunch. When shopping for school supplies let them pick out their own items (i.e. a “super hero” backpack may make all the difference in getting them out the door or into the classroom). Attitude is everything. Try to be as positive and enthusiastic as you can about your child going to school. Children feed off their parents’ vibes. You can talk about how fun it’s going to be and have them draw pictures of things they are excited to do and try at school. This can also help them get back into coloring/writing activities and work on their fine motor skills. We now accept Medicaid for Physical Therapy and Speech Therapy! Call us at 312.242.1665 for more information. Tips provided by Lumiere therapists. Learn more about them below. Shannon received her Master of Arts in Communication Sciences and Disorders from the University of Florida in 2011. Since then, she has practiced as a licensed speech-language pathologist, working with the pediatric population in clinic-based and school settings. Shannon has evaluated and treated children presenting with a wide range of communication disorders related to speech sound production, phonology, fluency, literacy, language processing, and pragmatics/social communication. She has specialized training related to the following programs: Social Thinking; Orton-Gillingham Scope and Sequence for Dyslexia; LiPS (Lindamood Phoneme Sequencing Program); Zones of Regulation. Claire is a licensed clinical social worker who has experience working with children and families from diverse backgrounds. She has been a social worker since 2007 when she graduated from Loyola University Chicago with her Bachelor’s in Social Work. She earned her Master’s in Social Work from Jane Addams College of Social Work in 2011. Claire’s treatment specialties include anxiety, depression, self-development, and building skills around self-regulation. Claire also has extensive experience with de-escalating crisis within families along with aiding caregivers in developing attunement skills and effective response to children’s behaviors. Kelly is a registered and licensed occupational therapist who has experience working with children ages 0-13 with a wide variety of diagnoses and disabilities. Kelly has pediatric experience in outpatient, inpatient, clinic and in-group settings. Kelly collaborates with other professionals, team members and most importantly the family in order to provide the child with the best possible care. Kelly helps children achieve their fullest potential and helps families to better understand their child. She graduated from University of Missouri with her bachelor’s degree in occupational science in 2013 and master’s degree in occupational therapy in 2015. Enroll NOW for our Therapeutic Preschool and Kindergarten! It’s hard to believe how fast the summer is flying by, as it always does when you live in Chicago and cherish the limited number of warm days we are provided. August is already upon us and for many students, this means, it’s time to head back to school or at least, start considering educational options for little ones just starting school. If you have children ages 6 or younger that need a little help getting started, consider our comprehensive therapeutic preschool and kindergarten programs. Our Pre-K and kindergarten programs provide a supportive and inclusive environment for children of all developmental needs. Our small group setting allows for optimal, personalized therapy for each child. We offer academics with a play-based approach to teaching and learning. We each share what we know in a relaxing and nurturing environment and work towards a graduation milestone for your child. No victory, success or accomplishment is too small here – in fact, we celebrate each and every achievement as a MAGIC MOMENT. Your child will learn literacy, math, science and self-care – all explored through music, books, movement, sensory exploration, problem solving and visual/spatial tasks, all while having fun! Each activity will be modified to ensure your child’s success in our program in order to help them achieve academic milestones and ‘graduate’. Our staff provides your child with transitional support throughout the day. We emphasize the importance of social interactions, emotional intelligence and the ability to express feelings. Our clinic offers a Sensory Gym, allowing children to regulate their bodies before challenging themselves with their academic tasks. We offer small class sizes (6 kids or less) as well as separate, private rooms to build on individual therapy sessions in a private setting. 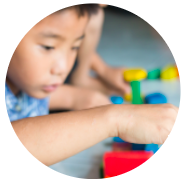 We align ourselves with the Early Learning State Standards and are committed to Developmentally Appropriate Practices (DAP) through a play-based curriculum to support the needs of our students. In the end, we want to make your family goals, our goals. A happy family unit is what we strive for with our approach to therapeutic education. 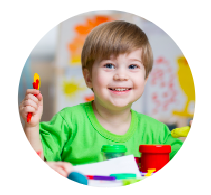 Not sure if our therapeutic preschool and kindergarten programs are the right fit for your child? No worries. We offer year-round, rolling admission so you can take your time and decide without any pressure. Children can also be registered for full or half-day programs. Enrollment can be for 2-5 days per week, and we offer early drop-off and late pick-up options to accommodate your busy schedules! We would love to have you come check out our facility. To schedule a visit, just give us a call at 312-242-1665 or contact us HERE. But, enough from us. Let’s have you hear about our therapeutic Pre-K and Kindergarten programs directly from our parents. What are our parents saying about our Therapeutic Preschool and Kindergarten? Mom, Julia and her son, Alec. How long has your child been attending our Therapeutic Kindergarten? Alec has been attending Lumiere since October 2017 for Physical Therapy and Speech Therapy sessions. He was super excited to come into the center and quickly got comfortable there with all the staff. Since then, we decided to have Alec attend kindergarten through Lumiere starting January 2018. Was there something in particular that interested you about the kindergarten program that would address your child's needs? To be honest, the overall environment of the clinic is very warm and welcoming. You almost feel like you are in a spa. It projects calmness which is the most important setting for children with disabilities. The staff is very pleasant and greets you at the door with a smile, daily. I feel very comfortable communicating with everyone and receive very good, consistent feedback. There are a lot of services offered and you can really set up your child’s day for all his/her needs. I think having ALL services in a one-stop shop is a very attractive feature that almost no one else offers. How has your child benefited from Lumiere's therapeutic kindergarten program? Alec has shown tremendous progress since he joined Lumiere! He has finally started to consistently follow directions and gained full understanding of what is being asked of him. He has done great with being independent since he joined the clinic. ABA therapy has helped a lot with his everyday communication and regulation. Not to mention, Alec came in as a non-verbal child and now almost a year later, he is able to communicate with a handful of words and tries to build sentences. We are extremely excited with his progress! What are your favorite aspects of the kindergarten? As we watch our son grow with the help of Lumiere, I think it’s important to note that the people that work with him are the greatest asset for the clinic. Kitsa, the owner, has done an amazing job hiring very capable and highly educated professionals that make Lumiere a highly recommended therapy clinic in Chicago! Shannon, the program coordinator, Jakki, the ABA director and all other therapists (Jessica, Lea, Megan, Alex and of course Alec’s most favorite person Ms. Maia) make Lumiere the best place for our son! What are your overall thoughts about the kindergarten/Lumiere? For our family, the Kindergarten has been a blessing since Alec struggled in school. We were stressed out, upset and overall unhappy daily walking into the doors of his CPS school. CPS held Alec back in his growth due to lack of expertise on how to handle him. Lumiere brought our family PEACE and we will never forget that and are forever grateful to everyone who is a part of our son’s life. Mom, Catherine and her son, Joe. How long has your child been attending the preschool? Since April 2018, one month after Joe turned 3. Was there something in particular that interested you about the preschool that would address your child's needs? My husband and I were drawn by the preschool's holistic and highly personalized approach. We knew our son needed one-on-one attention from professionals that understood his unique challenges. We also wanted a voice and the ability to participate in Joe's education, provided by parent meetings and frequent updates. How has your child benefited from Lumiere's therapeutic preschool program? Joe has flourished making leaps and bounds in all aspects of life. He isn't just communicating but excited to initiate and participate in conversations and activities. His preschool peers provide friendship and motivation to learn. What are your favorite aspects of the preschool? I want Joe to enjoy being a child. The preschool allows Joe to engage in a number of fun activities that he would miss from a strict therapeutic schedule. I cherish the art projects he brings home and the daily updates (written down and provided by the staff) detailing Joe's day. What are your overall thoughts about the preschool/Lumiere? The group of therapists, staff, and students at Lumiere has quickly become Joe's second family. I was overwhelmed by his positive reception and acceptance. Just a few months ago I felt quite anxious about Joe's future. Now, I look forward to each day Joe heads to preschool and Joe does, too! He drags his backpack out even on the weekends! 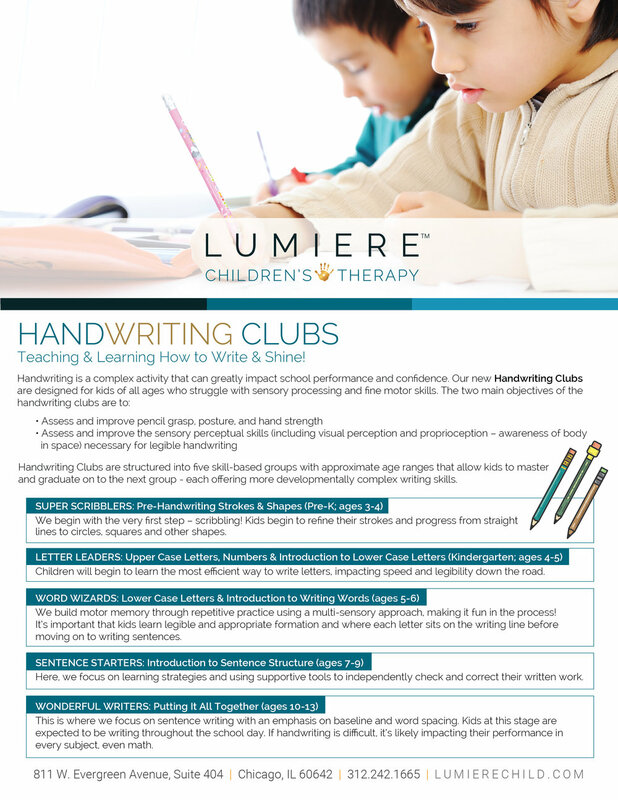 Lumiere introduces our NEW Handwriting Clubs and NEW Physical Therapy Classes! These include music movement classes, a yoga series and our Ready, Set, Bike! class to get your child prepped for summer cycling. June is a glorious time for kids – no more school means the true beginning of summer, heading outdoors, cool treats and new adventures. For parents, however, summer means a huge fluctuation in schedules and routines for the entire family. Heading to outdoor events and new places can especially bring on their own set of challenges. The key to making this transition as smooth as possible means being prepared. Below, our social workers are sharing some more tips on making outdoor activities a positive experience for the whole family. Make the upcoming visit a social story. If you are going to a new place that may be overwhelming such as a zoo, concert or festival, talk about it with your child. What will happen there? What can they expect? Predictability helps a lot - especially for kids with autism, who like routine. Have them draw pictures, write out a story or talk about what they are going to see at the event. We usually tell parents to start talking about it a few days beforehand; they can even put it on the calendar to show the kids how it is approaching. Make a schedule for the day of the event if you think your child needs it. Saying things like, “first we will visit the lion house, then we’ll see the elephants and then we will have a picnic lunch” prepares them with predictability and security. Think about bringing a stroller, so if they do get overwhelmed, they can find comfort in their safe spot. If this is not an option, scope out the venue in advance to see if there is a quiet place you can go to remove the child from the overstimulating environment. Take breaks and walk away from the busy environment. It can even be something as simple as setting up a little picnic area in a grassy spot away from all the action. Letting your child have a say in the day’s activities can help them feel like they have more control over the situation. Think about your child’s likes and dislikes before going anywhere. For example, if they do not like swings at the park, they most likely will not like rollercoaster rides. If your child startles with loud noises, they may need noise-cancelling headphones at a concert. If your child is resistive to tactile sensory input, the waterpark may be overwhelming. Check out our handy list of outdoor festivals this month in our OUT & ABOUT section, below! Nathan began receiving services from us through the State of Illinois’ Early Intervention program at the age of three. When he aged out of Early Intervention in April 2016, his mother, Nicole, needed to find a therapy clinic for him. “I needed to continue therapies on my own,” recalls Nicole, a CPS elementary school teacher. At the recommendation of one of the therapists, Nicole was referred to Lumiere. His initial evaluation at Lumiere was for speech. “He was only using utterances and lots of non-verbal communication,” remembers Nicole. Nathan started with speech therapy and later added Occupational Therapy. Nathan received his autism diagnosis at the age of two-and-a-half, but even before then, Nicole’s concerns began around Nathan’s speech. “He started off saying a few words between the ages of one and two and then he just lost that,” she says. After three years of a comprehensive, customized treatment plan by his therapy team at Lumiere, Nathan will be graduating from our therapeutic preschool program this month. He is reading, writing and speaking more - even well on his way to structuring sentences. Dr. Tom is the chiropractor behind Roots Family Chiropractic, a primarily pediatric and prenatal chiropractic office, which opened in 2016 and is based in Lincoln Park. His wife, Lauren, is the office manager. The fact that most of his members are children, makes his practice very unique. He calls his services “safe, gentle and highly effective” for kids to quell concerns about misconceptions people have about chiropractic techniques. The main goal is to assess any interference (i.e. stress) on the nervous system through state-of-the-art technology and make recommendations for ongoing care. Dr. Tom a hard-working individual with a strong foundation built on providing neurologically based chiropractic care to practice members of all ages. His care approach is different in that it focuses on the functionality of the nervous system and its ability to adapt. He specializes in Epic Pediatrics, Torque Release Technique and Webster’s Technique. In March 2015, Dr. Tom took the opportunity to utilize his compassionate nature and commitment to quality chiropractic care by traveling on a clinic abroad trip to the island of Bequia. There he spread chiropractic care to underprivileged children and parents. Dr. Tom completed his Doctorate of Chiropractic at Palmer College of Chiropractic in Davenport, IA. He is currently attaining a pediatric certification, CACCP, through the International Chiropractic Pediatric Association. It’s time to ditch the heavy coats and boots for summer gear and enjoy the benefits of the outdoors. We realize, however, that with children, that may easier said than done. We know that heading outdoors poses different challenges for different kids. Although there’s lots more to see, do, smell and taste in warmer weather, it usually means crowds of people and increased noise pollution. For some children, being part of these activities tends to pose a bit more of a challenge. As part of our core values, it’s our mission to work with you to make your goals, our goals. So, what is the goal, here? To minimize potential issues that may arise outdoors, by anticipating them. As such, our team has put together some important tips on how to make outdoor excursions enjoyable for you and your child. Talk to your child about what you have planned for the day. Changes in routine can be difficult for children to process, so prepare them by letting them know the plan. Predictability and structure can be comforting to little ones. If your child uses a visual schedule make sure to have it on hand. Use Social Stories to help your child transition activities. Remember that the outdoors provides a plethora of opportunities and new adventures for kids to expand language, fine motor, sensory, and gross motor skills. This means providing many teaching moments for your little one. Anticipating the needs of each individual child can make for an enjoyable, fun excursion! So, go out there, explore and HAVE FUN! Some other great sites to explore to give you fun ideas when taking your kids outside! Check out our handy list of outdoor festivals this month in our OUT & ABOUT section, below. Did you know our therapeutic preschool offers summer camp options? This is a great opportunity for us to teach and learn alongside your kids in an environment that they’re comfortable in, while introducing them to amazing opportunities for fun that only the outdoors can afford. Summer camp will be incorporated into our therapeutic preschool program. Our preschool runs Monday-Friday throughout the summer. We have a morning program, which runs from 8:30am - 12:30pm and an afternoon program, which runs from 2:00pm – 5pm. The program is for kids up to first grade. Please call our offices to find out more information or to register your child. 312-242-1665. Claire Conway is a licensed clinical social worker who has experience working with children and families from diverse backgrounds. She has been a social worker since 2007 since graduating from Loyola University Chicago with her Bachelors in Social Work. Over the next four years, she gained experience working with children and families and decided to pursue her Masters in Social Work from Jane Addams College of Social Work. She earned her degree in 2011. Prior to joining the Lumiere team, Claire managed a program that focused on helping children and families develop healthy family dynamics. Claire's treatment specialties include anxiety, depression, self-development and building skills around self-regulation. Claire has extensive experience in milieu therapy. Milieu therapy focuses on developing treatment plans utilizing the client's environments and client's peers to aid their skill building. Group sessions are the main focus of the milieu therapy approach. Along with milieu therapy, Claire believes family therapy is key to a client’s success. Claire has specialized training in both de-escalating crisis behaviors and aiding caregivers in developing attunement skills in order to effectively respond to children's behaviors. In addition to individual therapy sessions, Claire also leads many of the social groups at Lumiere. 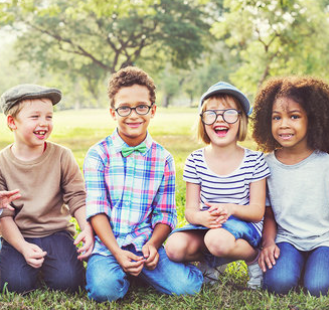 The social groups focus on providing a safe environment for children to practice skills that will lead to healthy relationships and successful social interactions. The activities within the groups aim to meet the children where they're currently functioning, while building their confidence step by step. During the group sessions, in-the-moment feedback is provided and challenges are created to allow for practice, problem solving and encouragement. Keep reading to learn more about Claire! Q: What do you like most about facilitating the social groups? A: Healthy relationships are the root to human self-esteem and confidence so my passion around groups stems from years of observing that one group session can have the same impact on a child as four individual sessions. Q: Why are the summer months a great time to practice social skills? A: In the summer. there seems to be more opportunity for "recreation". The Chicago summer weather allows families to take advantage of parks, lakefronts and museums. The idea of "recreation" is that activities are for enjoyment, refreshment and fun. Recreational activities such as biking, swimming or gardening provides a common language for kids and adults to bond with others. This decreases anxiety that occurs during social interactions and increases confidence in kids and adults. Identifying hobbies and bonding with others around shared interests is the ultimate practice of a social skill. Q: What's your favorite part about summer? A: Swimming. I feel at peace when I am in water. In the summer, I can swim outside at the Chicago Park District pools and the Lakefront beaches, both FREE!